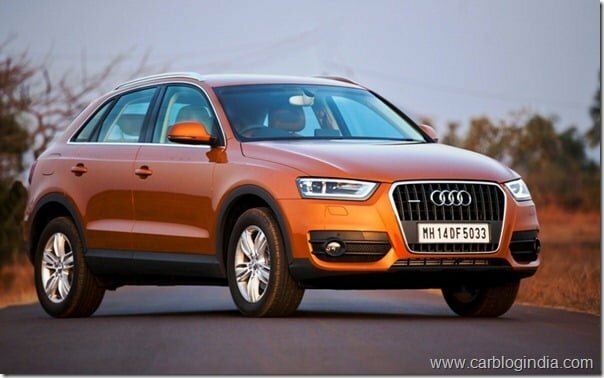 The German luxury automobile manufacturer, Audi is planning to start assembling its latest SUV, the Audi Q3 at its Indian production facility soon. Audi has its assembling facility in Aurangabad. Presently the car maker’s product line-up being assembled at the assembling facility includes the A4 sedan, A6 sedan, the Q5 SUV and the Q7 SUV. This was declared by Audi India Head Michael Perschke. He also added in his statement that the company has already built new assembly hall called hall—C. Now with a single shift in the new hall, Audi India’s installed capacity is reaching out between 7,500 and 9,000. if they go on higher shift we can go up to 12,000 units, depending on market condition“. Till date the luxury car maker has invested about 30 million Euros in the Indian market since it first stepped in India back in 2007. In the road ahead, the car maker has aggressive plans of expansion. It plans to have an installed capacity of up to 12,000 cars a year in the country within the next 18-24 months. After the Q7 was started being assembled in India, Audi’s assembly plant has a capacity of about 7500 to 9000 units. The company achieved a total sales figure of 5511 units in India. This year, it plans to increase that to beyond 8000 which is a stunning growth of about 55 to 60%. The good news for Audi is so far they have already achieved sales of 7267 units. Audi also plans to expand on the dealership network to capture as many potential customers as possible. Currently Audi has about 25 showrooms across the country. Audi proposes to open next outlet in Lucknow this year, followed by a showroom at Noida in January and another in South Mumbai. Mr. Perschke also added in his statement that the company has a plan to have 30-35 networking points in India by next year-end. According to the company, a god amount of sales comes from the western region which accounts for close to 32%.